As the date for the signatures draws closer, the current “majority faction” of the KID continue to show a magnificent lack of leadership from what we can see. 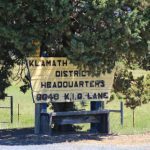 After what appears to be a lack of communication, Hollie Cannon, interim manager for the Klamath Irrigation District, stepped down on July 31. Mr. Cannon was hoping to secure a three-year contract but needed a few conditions met. From what we can tell, not only were those conditions not met they went largely ignored. Chairman Cheyne could not be reach for comment. 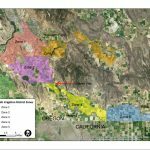 In our opinion, this is NOT how an irrigation district should be ran. These three gentlemen have a duty to ensure water is delivered to its patrons and that the needs of the irrigation district is met. The fact they new Mr. Cannon was leaving and made no effort to find someone to fill that position shows they should not be sitting on the Board of Directors. If this outrages you as much as it does us, please learn what you can do to help.